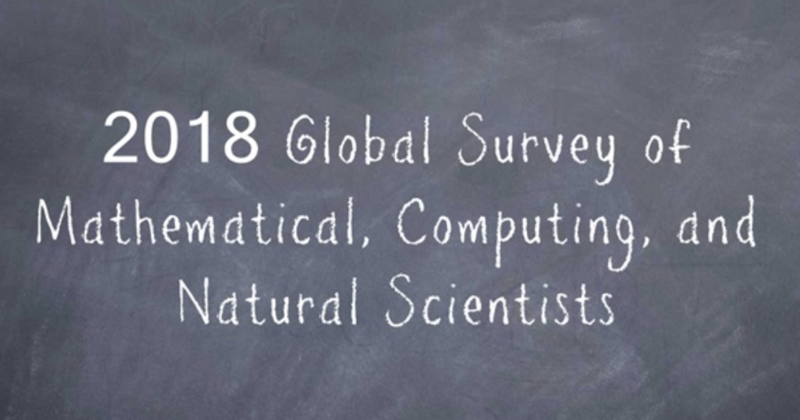 A crucial component of the Gender Gap in Mathematical, Computing, and Natural Sciences project is the compilation of self-reported data from scientists via a global, multilingual, and multidisciplinary survey. The goal is to study social dynamics in the fields of physics, chemistry, astronomy, biology, computer science, and mathematics by asking a large number of scientists and practitioners about their experiences, challenges, and interests, as well as focused information about women in these fields. The analysis of the compiled data will allow comparisons across regions, countries, disciplines, level of development of the country, sector of employment, and age. The insights obtained from this survey will help inform interventions by ICSU and member unions to increase participation in STEM fields, especially for women. Today we open the survey to respondents from all over the world. The survey is available in English, French, Chinese, Japanese, Russian, Spanish, and Arabic. If you have studied or worked in mathematical, computing or natural sciences, or in the history and philosophy of science and technology, we encourage you to visit the link below to complete the survey and to share this information with your colleagues. Participation will be open from May 1st, 2018 until December 31th, 2018. Thank you so much for completing the survey and making this project possible!